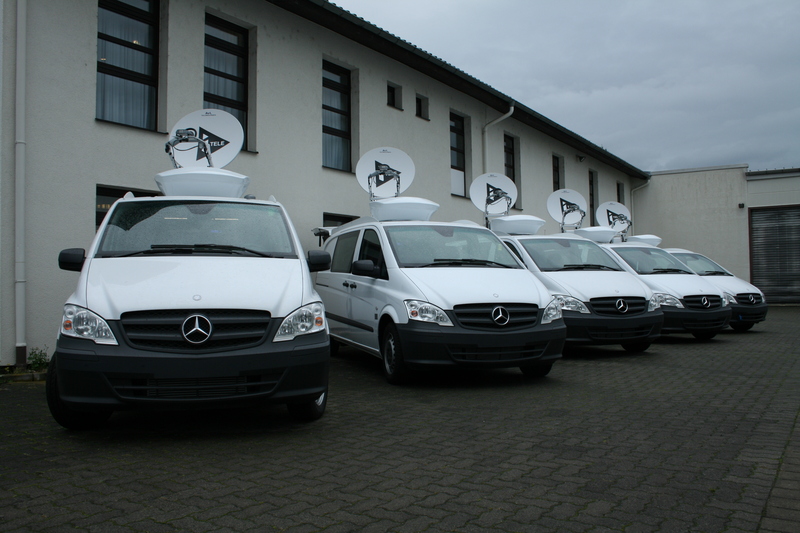 The French news channel i>Télévision had designed and built its new SNG fleet consisting of 5 HD-KA satellite vehicles and 2 HD-KU-SNG’s at SATCOM GmbH in Heusenstamm. 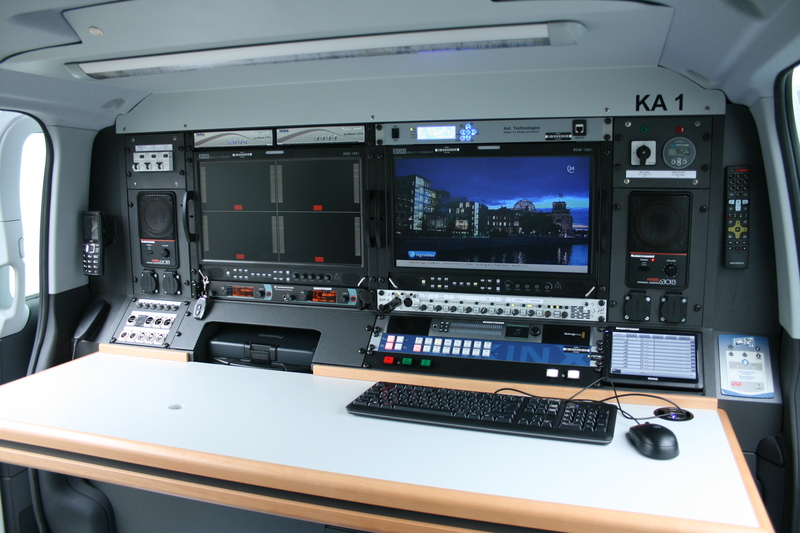 The five KA-band broadcasting vehicles had already been delivered in November 2014 and, immediately after their delivery, they were stationed in the individual regions of the transmission area of Canal+. They successfully went through their first baptism of fire during the 4-day transmission marathon with respect to the attack on the editorial office of Charlie Hebdo magazine as well as the subsequent police action in the greater Paris area. i>Télévision uses a product from Mobile Viewpoint for encoding the HD-image signals. A corresponding HUB was installed in Paris to receive and process the IP-data. An intelligent VoIP concept connects both the vehicles to the headquarters in Paris and the vehicles with one another. As a secondary product of data transmission, this concept allows to realize via satellite or terrestrial means, the return line of the transmitter (n-1) as well as the intercom functionality. The vehicles are designed for the current use. Their handling is designed in such a manner that even non-technicians can work well with them. In addition to the 5 KA-vehicles, in December, two small KU-HDSNG’s had been delivered to i>Télévision. Here, special challenges arose with respect to the interior equipment and the positioning of the workplaces. As the vehicles represented the smallest variant of the Mercedes-Benz Sprinter, it was especially about to find place saving and ergonomic solutions. Both vehicles are able to transmit for about 6 hours on battery power; on board, they have their own power generator as well as an air conditioning with an output of 5 kW. “The relatively small space and also the restriction of the vehicle’s weight balance to a total weight of 3.5 tons posed a challenge on us with respect to a creative form of the interior conception. Thus, the racks exclusively consist of weight saving aluminum and we also struck new paths with the installation of the air conditioning”, said Thomas Becke, managing director of SATCOM GmbH. With respect to the i>Télévision vehicles, as with all vehicles designed by SATCOM, we attached great importance to an appealing appearance and a functionality adequate to production. “We are delighted to get a positive feedback on the interior and the functionality both from the editorial offices and the technicians”, Thomas Becke continued. The vehicle construction and the energy package were assumed by the enterprise Provan Solutions which also belongs to the SATCOM group.